We provide Call center services including outbound telemarketing, inbound customer care to software and networking technical support. 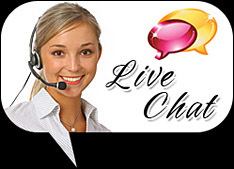 We also give email based customer support and also online training solutions. We also delivered customized solutions for our clients. Following are the different services and features which enchanced the gorwth of our service. An agent to call clients in succession from a database through a web-client. Set a campaign to auto-dial and send live calls to available agents. Dial predictively in a campaign with an adaptive dialing algorithm. Transfer calls with customer data to a closer/verifier on the local system. Open a custom web page with user data from the call, per campaign. Autodial campaigns to start with a simple IVR then direct to agent. Broadcast dial to customers with a pre-recorded message. Park the customer with custom music per campaign. Send a dropped call to a voicemail box per campaign if no agent is available. Take inbound calls grabbing CallerID. Function as an ACD (Automatic Call Distribution) for inbound verification calls. Manually or automatically call upto two other customer numbers for the same lead. Automatically dial unlimited numbers per customer until you get an answer. Manual dial mode to preview leads before dialing. Agents to be logged in remotely anywhere with just a phone and a web browser. Faster hang-up and dispositioning of calls with one key press (HotKeys). Definable Agent Wrap-up-time per campaign. Agents to select a Pause Code when they are not active. Agents to control volume levels and mute themselves. Calls to be placed from GUI and directed to phone. Intrasystem calls at the click of a button. Conference calling of up to 6 channels through GUI. Blind transfers of calls to specific voicemail boxes. Blind transfers of calls to intrasystem extensions. Blind transfers of calls to external numbers, Three-Way calling within the agent application. 3rd party conferencing (with DTMF macros and number presets). 3rd party blind call transfer. 3rd party conferencing with agent drop-off. Full integration with Sangoma Call Progress Detection(CDP) for better Answering Machine Detection(AMD). Managers to listen-in on agent conversations. Managers to enter conversations with agents and customers. Skills-based ranking and call routing per inbound group(queues) and campaign. Set outbound CallerID per campaign. Use custom database queries in campaign dialing (admin). Dialing with custom Time Zone restrictions including per state and per day-of-the-week. Dialing with Answering Machine Detection, also playing a message for AM calls. Internal DNC list can optionally be activated per campaign. Call Parking sends calls to park ext and then redirects to phone ext. Voicemail display and button to go right to check voicemail. Displays live status of users phones and Zap/IAX/SIP/Local channels. All calls are logged and statuses of calls are logged as well as agent time breakdowns. Administrative Hangup of any live Zap/IAX/SIP/Local channel. Administrative Hijack of any live Zap/IAX/SIP/Local channel. Hourly Totals by Status Category on Real Time report. Lead performance by campaign report. Lead performance by list report. Agent stats & status report. Scalable to hundreds of seats (Terms & Conditions apply). Ability to use standard Telco lines and VOIP trunks.